Size 10 in. T. x 9 in. 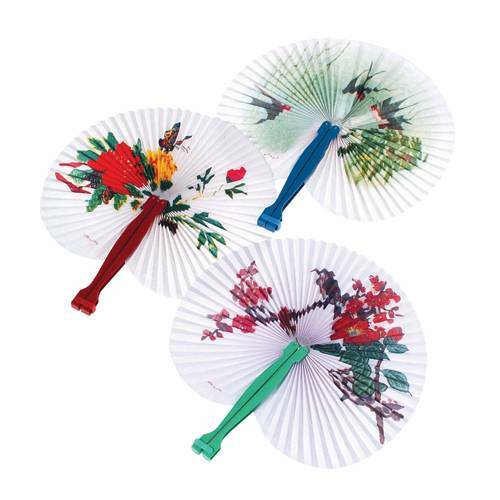 W.
Keep cool at any outdoor event with this traditional folding fan. Folding fans are fun additions to party favor bags, classroom rewards bucket, and much more!